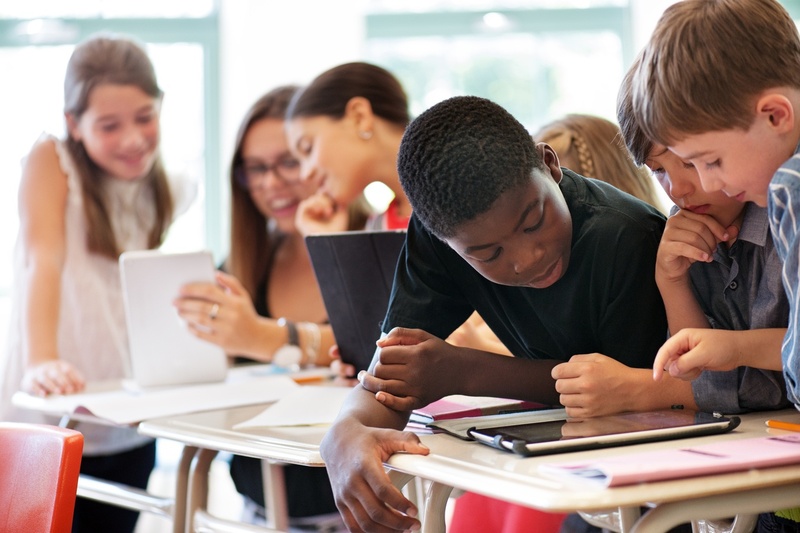 Similar to many school systems across the country, Columbia Public Schools have deployed many initiatives to support the digital classroom including 1:1, online testing and BYOD enablement. The District owns 24,000 Windows devices and iPads to support these programs and has secure wireless BYOD guest access for students and visitors. At any given time they can have more than 20,000 devices on their network using an average of 1.5 to 2 terabytes of Internet traffic daily. The District relies on a staff of 44 IT personnel to keep the network up and operational to meet the needs of students and staff while ensuring compliance with all regulations. They manage the data center, wireless network, VoIP systems and many other items including smart boards and even video scoreboards for the athletic fields. They have their hands full on a daily basis and need technology that works reliably, performs well and has the tools that simplify day-to-day management. However, the IT teams realized their entire infrastructure wasn’t up to the task in any of these areas. Wireless was maxed out, throughputs via their existing firewalls were creating choke points and the limited reporting tools required hours of manual effort to produce usable results. They soon embarked on a complete overhaul of their infrastructure including their existing firewalls and wireless network. A project of this size and scope is significant for any organization, but when it’s taxpayer money on the line many more people are involved in the decision making process. The IT team had to convince the Board of Education and the residents of the Columbia School District that the overhaul was necessary and then demonstrate they were thorough in their evaluation and recommendation of the best solution for the District. Five vendors were identified for the firewall project based on past experience and through their discussions with other school districts. Using a thorough rubric-based testing methodology, each product was scored based on a set of weighted criteria including performance, features, connectivity, reporting, support/management and overall value. The combined results of the rubric process and validations performed in their tests pointed to a clear winner – the FortiGate next-generation firewall. The recommendation was made to the Board of Education to go with two FortiGate firewalls in a high-availability configuration with a FortiAnalyzer VM. With the two new FortiGate units now fully deployed, the Columbia Public School District now has the breathing room needed to support projected traffic growth for the next four years and a solution that fully meets CIPA, HIPAA, and FERPA regulations. Their biggest complaint with the old platform has been resolved with Fortinet’s comprehensive reporting that can be tailored to their needs for details on items such as staff, student and guest group usage. The new reporting and expanded logging capabilities now are able to support information requests that go back months instead of just weeks as part of their partnership with the Missouri Cyber Crimes Task Force. Their comprehensive testing and evaluation clearly demonstrated the performance, security effectiveness, reliability and overall value of the Fortinet FortiGate firewall. intlx Solutions is a Fortinet partner.